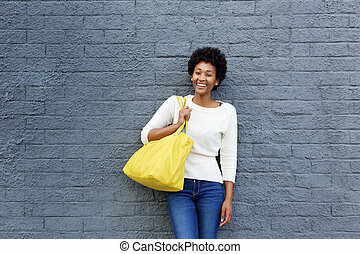 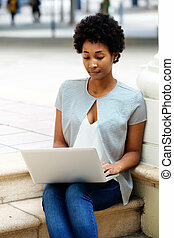 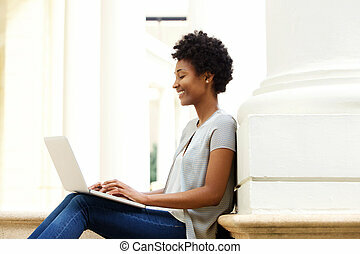 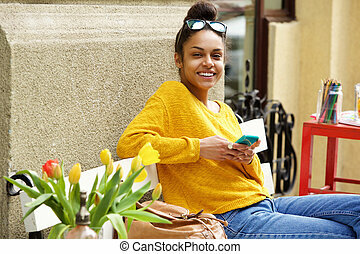 Beautiful young african woman sitting outside. 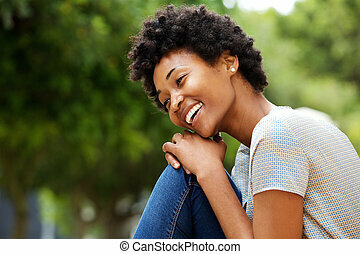 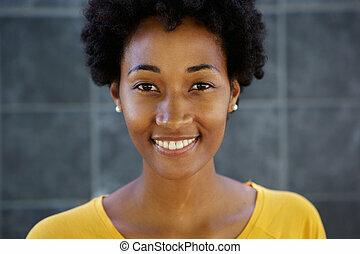 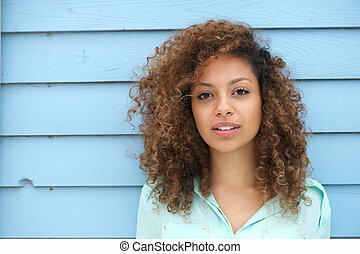 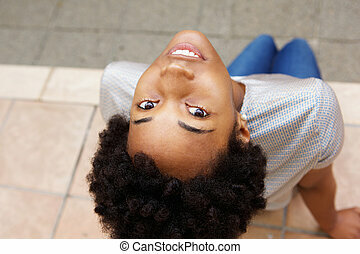 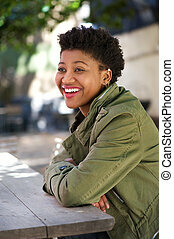 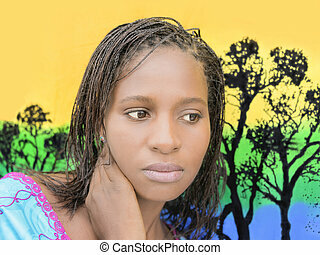 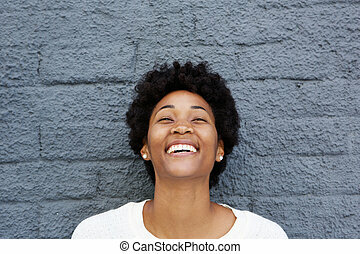 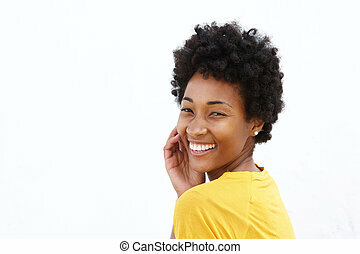 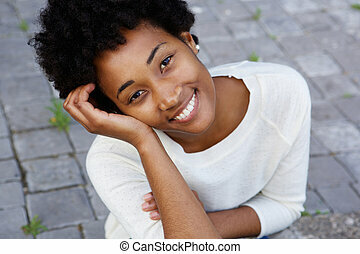 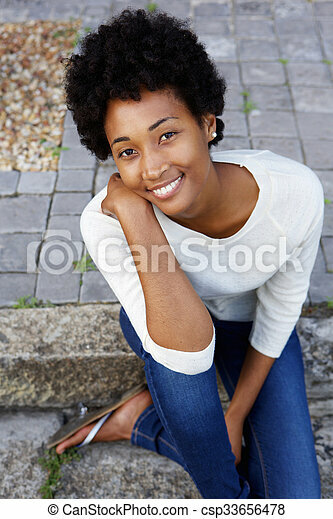 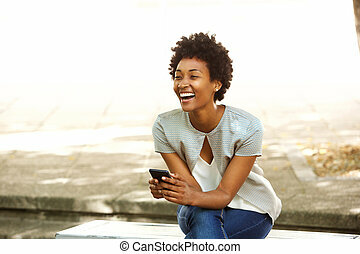 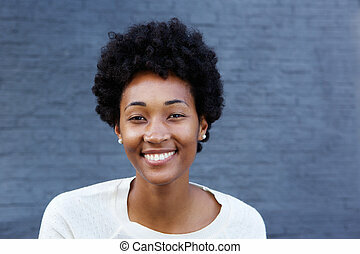 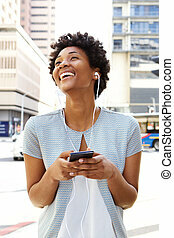 Closeup portrait of beautiful young african woman sitting outside. 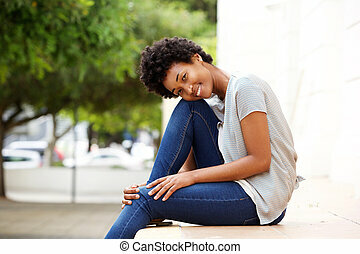 Beautiful Young Woman Sitting. 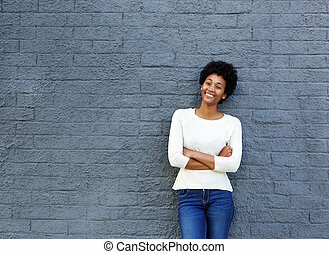 Black background . 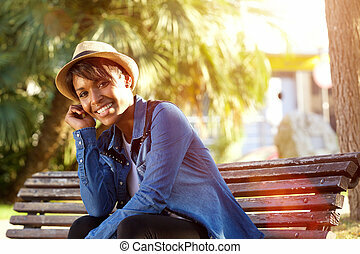 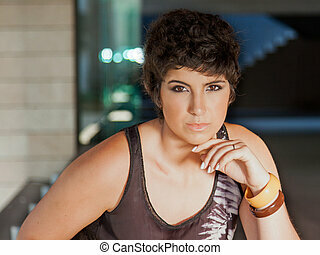 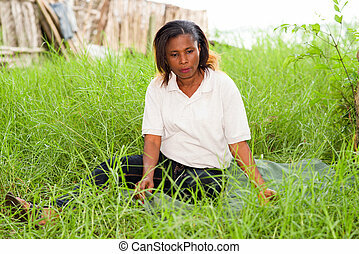 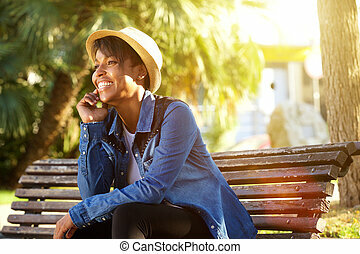 Beautiful young woman sitting in the grass outdoors and enjoying nature.